This stunning and raw Clear Herkimer Ring are hand forged in SOLID 14k gold . Solder with 14kt Gold to the prong setting. 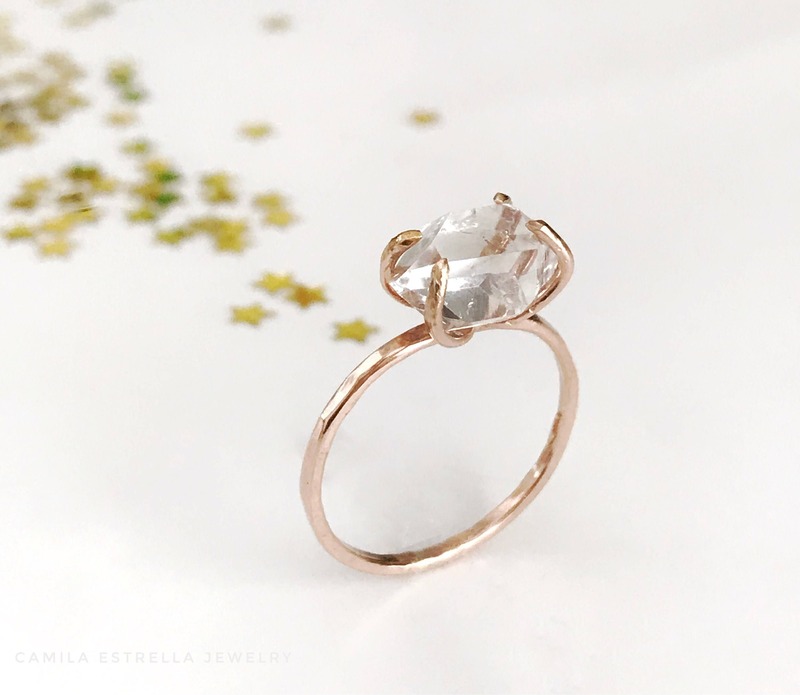 This ring with a perfect Herkimer Diamond in a prong setting. ~Gemstone: Clear Herkimer Diamond 5mm-10mm. This mineral owes its name to Herkimer County, New York, USA, the principal place where it is found. The small, double-terminated crystals are short and stubby, formed in a hard rock matrix giving them their strength. They may be exceptionally clear and colorless, or contain rainbow inclusions, air bubbles, or black carbon deposits. Very nice ring, thank you!